I started Beer In Hawaii to provide insightful and helpful information about the growing craft beer scene in Hawaii. My passion for craft beer grew from living in Los Angeles for many years and being a part of the exploding beer scene there. 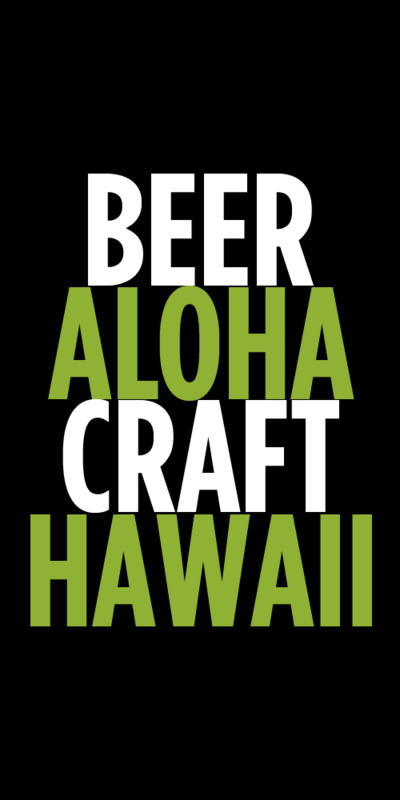 There is a wealth of quality craft beer in Hawaii and amazing locally crafted beer. My intention is to showcase both our local Hawaiian brewers as well as the people that shape Hawaii’s craft beer community. If you’re willing to explore, you will be treated to great craft beer in Hawaii. Tim Golden is a Certified Cicerone®, experienced home brewer and general beer lover. Raised on the North Shore of Oahu, Tim picked up home brewing and the love for beer while living and working in Los Angeles. He is a graduate of the University of Hawaii at Manoa and currently lives in Mililani with his wife and two sons. Tim is also a contributing writer to Honolulu Magazine’s Biting Commentary as well as writes the monthly column “On Tap” for the Honolulu Star Advertiser. Most recently I opened Village Bottle Shop & Tasting Room in Kaka’ako. It’s been a dream of mine to be able to talk about beer all day with people and now that dream is a reality. Come by and visit us if you’re ever in Honolulu. Great website! I am a big hawaiian craft beer fan and read your emails and check for your website updates all the time. Btw, if I heard correctly. Pacific Breach Brewing Company is in the process of moving from their Pearl City location. It would be great if you could update that information as it becomes available. Mahalo. Thanks for the kind words. I’ll be sure to update that info as soon as I get it. Anyone knows where I can get a used Corny Keg on Oahu?? Thanks! thank you for spreading the craft beer doctrine! Thanks Bully! We need to connect. Hi Tim, I’m an Australian-based journalist and travel writer. I’m coming to Hawaii in early July and would like to cover the beer scene on the islands. Wondered if there was a brewers’ guild or association I should speak to? Mark – I’ll shoot you an email with details. My fiancée and I are going to Hawaii for our honeymoon and I was wondering if you can suggest some local favorites. We would like to stay way from chains and tourist traps. Specifically can you please let us know of some must see local breweries that produce their own beer with water from the islands? If you can also suggest some local restaurants, shrimp trucks, authentic Hawaiian luaus and any other activities on the Big Island, Maui and Oahu that would be great! 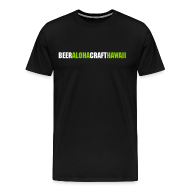 Mahalo for starting a site that focuses on the local brew scene. 20 years since my love for great beers began in the Pac Norwest Hawaii is finally evolving to where it needs to be and it will only get better. Keep keeping us informed. I recently built a kegerator from a chest freezer and been having a heck of a time finding a retailer or local brewer with a list of what kegs they can get for me. I need to stick with 1/6 kegs or cornelius kegs due to the size of the kegerator. Currently Tamura’s is the only location I have found but their choice of beers in 1/6 kegs are limited in selection. I am only interested in craft-style beers. Are there any local craft brewers that sell kegs retail to the general public or is there a retail store with a larger selection? Tamuras is your best bet. Right now on Oahu we don’t have any functioning breweries. Maybe Honolulu Beerworks will offer kegs when they open. Basically if Tamuras doesn’t have it, probably no one else does either. 1. Beer can be brewed up to 16% by volume (had some – home brewed), alcohol kills the yeast after that…and I used to be able to buy a 14% German – gold label with a big red “28” (proof) in CA..
2. Doppelbock is the German title for the double-strength, and any title ending in “or” is the strong stuff…”optimator”, etc. ..usually “eisbock’ = ice beer, fermented to max, then frozen and the icy part removed – leaving the strong stuff. 3. Guiness is “lighter in body and color”?? Check out “Rheinheitsgebot”…Bavarian purity law of 1585 (?) limiting, by law, beer to be made of only barley, hops, yeast & water…no sugar (like in Primo), no corn (as in Rolling Rock), no “premium grains” (as in Budweiser) – & certainly no chocolate, vanilla, coffee, fruits, etc. Thanks for the comments. I think some of the article may have been misunderstood. I have a very limited amount of space in the paper, 500 words max, so I don’t have much space to get into details. Also the demographic of the paper are novice beer drinkers so my goal is to keep things simple and approachable. I’m actually an avid homebrewer and have won my fair share of awards in some pretty big competitions. I’m very familiar with classic styles as well as more experimental styles. Beer actually can go much higher than 16%. It’s not easy to do and not many breweries do it, but it is possible. I’ve had more than a few of 20% beers and actually have 2 in my fridge from The Bruery in CA. Dogfish Head and Sam Adams are two other US breweries who have brewed beers in the 20% range without freezing to concentrate the alcohol content (the claim to fame of BrewDog in Scotland with their 46% beer). Yes, Doppelbocks and Eisbocks are other examples of bigger beers. Again, I’m limited in space and can’t include everything and every style. I didn’t even scratch the surface of this topic, but again, that’s not my intent. My point about Guinness was that not all session beers are light in color. They can come in all styles and colors. I’m very familiar with the German purity law, but I don’t think that really applies to the article I was writing. There is a time and place for different ingredients in beer. Some may not approve of adding chocolate into beer and that is fine, but others may enjoy those flavors and that is fine too. I’m not going to tell anyone what to drink or why. Drink what you enjoy. Thanks again for the feedback and I hope you continue reading with an open perspective to my situation. Glad I found your blog! We’re visiting Kauai in October, and I was hoping that there would be some breweries to stop in at while we were there. It looks like there are two that I can get the obligatory pint glass at, and with stories rich enough for a blog post of my own. Awesome. Beer sure to check out Kauai Beer Company. They just opened and have very limited hours. Please share your blog post once you get it up. Hi Tim, Love your blog! I stumbled across it while researching for an upcoming trip to Oahu and Kauai. My boyfriend and I are both huge beer aficionados. Can you recommend a brewery on either Oahu or Kauai that we just can’t miss? Mahalo! Sure. On Kauai there is Kauai Beer Company that just opened in Lihue. Limited tasting room hours so call to see when they are open. In Port Allen you’ll find Kauai Island Brewery. On Oahu, unfortunately there are no breweries open. Honolulu Beerworks is hoping to be open by November. You can always visit our great bars like Real, Pint & Jigger and Murphy’s. Monkeypod Kitchen in Ko’Olina has an amazing draft list as well. My friends and I are into beers that we can’t get here in NC. For example, Old Style, Leinenkugels’s Original, Hamm’s and Grain Belt Premium. Basically beers that our dad’s used to drink that one day won’t be around anymore. Pabst Blue Ribbon is the most famous example, (we drank it in the 90’s before it was all hipster to drink). Anyway…. going to Oahu and Kuai in November and was wondering what beer I should be drinking while I’m there. I prefer the lighter beers and not the hoppy IPA kind of thing. Sorry, just not as into that kind. Can you recommend a lager that is local that is something that our grandfathers would drink? I found online that “locals” drink Bud Light and Heiniken. Yeah that’s what locals in Charlotte drink too. I can get Bud Light here. Thanks for your time. On Kauai, you should check out Kauai Beer Company. They make mostly lagers, so they should have something right up your alley. Kauai Islands Brewing is also there and worth checking out as well. On Oahu, we don’t have a brewery right now, so I can’t guide you to anything super local. You can try Primo if you are looking for something nostalgic, although, it’s not brewed in Hawaii and is just part of the Pabst empire. I’m not even sure if it’s still brewed to the original recipe (I highly doubt it.) But, if you are into those type of old time lager beers, then that is the one you should find. It’s available in most grocery stores. Other than that, I’d suggest seeking out some of the Japanese made beers from Orion and Hitachino Nest. They make a variety of styles and I’m not sure if you have access to them in NC. I am asking about the same question as Mark did on May 16th (see below). I am planning to write an article about Hawaiian beer and wondering if there is any guild or association I could talk to? There is a guild but it is not very active. I can though put you in touch with all the people you need to contact at each brewery. Hey…great site. Hawaii beer scene coming along and you are helping!! I am interested in local microbreweries, but not necessarily the in restaurant/Sam Choy’s type. Any place on island that you know of that has growlers to fill, etc? None on Oahu right now. Honolulu Beerworks should be open by the end of January. i’m heading to honolulu soon from australia, amazing blog you’ve got here, i’ll be sure to use it as a reference! keep up the good work! Hey Tim – I represent a number of craft beers on the PR side, one of which is going to be available in Hawai’i in the next few weeks. If you’re interested in checking it out, let me know a best email and we’ll go from there. Thanks! Hi Tim- Could I please get your email for a direct message? I sent you a direct email a week or so ago. Hope you received it. Hello Tim! I run my own blog on beer pairing food recipes, and was looking for sources on the craft beer community here in Hawai’i, and I ran across your site. This is a fantastic and informative blog! Thank you so much for providing information on craft beer, especially here in Hawai’i! I live part time here on Oahu and San Diego, and half my luggage is usually filled with craft brews. 🙂 Thanks again for all your work! And perhaps I will run into you at one of the gastropubs. Aloha! Thanks for the kind words and you got a cool site too. We have just returned from a trip to Oahu’s north shore. We enjoyed a beer called MOSLEY! Can you tell me where I can buy this brew? Where did you have it at? To the best of my knowledge I don’t know of any local brewery that makes a beer by that name. Do you know what brewery it was from? Any advice on the best retail selection for beers in Kauai? Thanks! Looking forward to opening day here in Kihei. Also hoping that there will be space in the brewpub area to host music events like Stella’s used to do before they closed. Hey Tim, I will be in Oahu in November — can you send me your email address? I’d love some recommendations for local beers/breweries. Just transferred to Oahu after spending 12 years in the Pacific Northwest. I am a craft beer lover and was apprehensive about what to expect out here. I have found a few favorites, but am always willing to try new brews. I have enjoyed reading your reviews and your blog. You have given me hop(e). Awesome blog, it keeps me up to date on where to get what. Not sure if you’re familiar with the e mart on Date near the corner of Date and University but they have one of the best sections on island and I would love if you included them on hi beer blast. Plus they deserve the publicity with the awesome job they do. Tim, I enjoyed the website and I am learning a lot thank you . I have just purchased Ag land on North Shore and doing organic farming. I need used hops/barley grain for compost… Do you know any craft beer companies that would be willing to donate used greens to farmers like myself ? Hey, Tim .. so this is where you ended up! Nice! Great site. I am going to be on Kauaii for a week in mid-July, and thanks to you, I found out there is a meadery down the street from where I am staying in Kapaa. Maybe I can ship some home in time for the PG summer party on the 25th. Terry! Good to hear from you. There are also 2 great breweries on Kauai. If you plan on visiting them, please let me know and I’ll make sure they know you’re coming. Hey Tim .. we get into Lihue on the evening of the 17th, and the breweries are on the agenda. Thank you for offering to give them the heads up. NBC reported that the drought is having adverse effects upon the hops crops, particularly my favorites: Centennial, Simcoe and Amarillo! Hi Tim, I just wanted to say that I check your page pretty regularly but rarely comment. I appreciate the write ups and reviews that you provide, the upcoming brews and whats on tap. Please keep up the good work, thanks for what you do for the beer community! Thanks. Glad you enjoy it! It’s fun to do. The site is great, definitely needed for Hawaii’s beer lovers. Just wondering if any you know of any place that has Sierra Nevada’s Beer camp Tropical IPA? Hey Rob I don’t think this has been released yet. It looks like it comes out in the spring. Rob. I’ve seen it at Foodland in Pearl City from time to time of all places. Good stuff man! I work for Maui Brewing Co. Look out for Kohola our newest brewery on Maui. They’ve got some good stuff. Thanks Charlotte. There’s a few articles on the site about Kohola. Been covering them since day 1. Nice meeting you & your family yesterday @ WB anniversary. Will be following your blog! You too. Hope you enjoy the reading.